Most of the plants in the garden are deciduous or herbaceous but there are several evergreens mixed in among them. 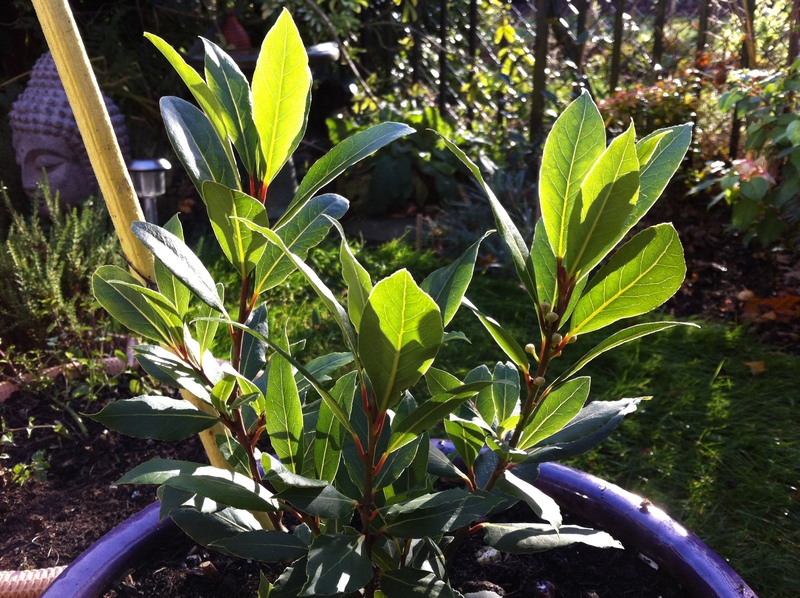 One of them is bay, and we have two “bushes”, one is a good-sized shrub and the other is small and currently potted up in a large purple pot. Over the summer it was crowded round with a ring of gladioli and sunflowers and now that we’re coming into winter, I cut those down, pulled them out and “revealed” the bay tucked in the middle. Despite being winter, today was probably the first time it received direct sunlight since being potted.